An interesting, Victorian steel, vegetable or herb chopper. The blade of this chopper is marked '**SE HAYWOOD & CO. CAST STEEL'. The first few letters of the mark are no longer visible due to use and wear of the blade. It dates from c.1880. 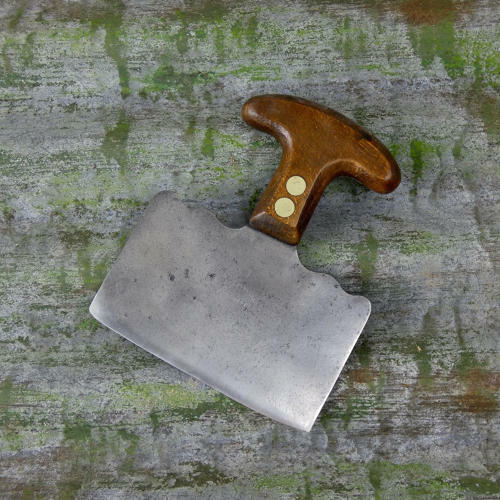 The wooden handle is well made and it is typical of the type of handle that was used as saw handles. There were a couple of companies who made saws in the Victorian period who also made kitchen choppers as a sideline. The piece is in excellent, usable condition and the blade is still very sharp.